This warm cream cheese dip has all the flavour of Buffalo chicken wings, without the fuss. 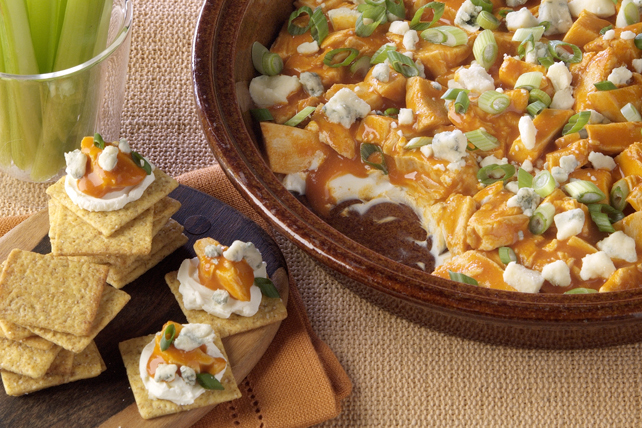 With only 15 minutes of prep, this cheesy appetizer dip is party-perfect fare. Combine chicken and wing sauce; spoon over cream cheese. Top with blue cheese and onions. Serve with cut-up fresh vegetables and assorted crackers.